investStratford | Globally Connected. Community Driven. Welcome to Stratford, Ontario where businesses enjoy the Stratford Advantage. Our world-leading digital infrastructure and smart technologies advance our industry and business innovation. Proudly home to entrepreneurial business, leading global industry, the internationally renowned Stratford Festival, and the University of Waterloo School of Interaction Design and Business. Locating in Stratford offers business multiple advantages designed to build and grow their business. Opportunity and success live here. Starting a business is exciting and challenging. The Small Business Centre team offer advice and support to area entrepreneurs and youth. Our team serves the Stratford Business Community, providing information and support to help navigate Stratford's business landscape. World-leading digital infrastructure supporting smart technologies that advance community, industry and business innovation. Stratford is the city of reinvention, the city of tomorrow. Our industries range from arts and culture to manufacturing and science, all building a future together. World-class theatre, global industry, an engaged community - we have it all." Stratford's advanced technical infrastructure of integrated broadband fibre and high-speed wifi platform provides internet connectivity throughout the City of StratfordStratford. Stratford's University of Waterloo campus, Conestoga College Campus and four other universities located within an hour drive, educate the community and attract skilled labour to our area. Stratford is an international destination with a thriving cultural economy. The world famous Stratford Festival is one of Canada's leading tourist attractions generating $140M in economic activity, $65M in taxes and 3,000 in jobs. Stratford's City Leadership has strategically invested in infrastructure and services that support innovation and economic growth that benefit both large and small business. The Wright Business Park offers premium development ready lands at competitive rates. Businesses can access government funding programs, loans, tax incentives, and more. Home to the Stratford Festival and the University of Waterloo’s School of Interacton Design and Business, Stratford is also located within Ontario’s largest Information Technology cluster and North America’s largest Automotive cluster. Home to the world famous Stratford Festival, the City of Stratford has also transformed into a world-leader in digital infrastructure with smart technologies that support and nurture local business. Stratford's ubiquitous WiFi, dark fibre backbone and leadinge edge DSRC and 5G capabilities, have given it the competitive edge in the unfolding autonomous revolution. 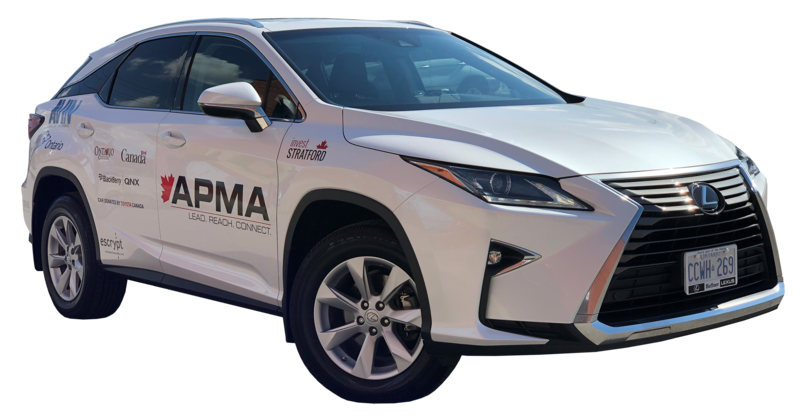 And as Ontario's official Autonomous Vehicle Demonstration Zone, Stratford is a real-world setting for autonomous technologies to be tested, validated and showcased in live scenarios in accordance with applicable laws and regulations using vehicle platforms such as city buses, fleet vehicles, and OEM vehicles.